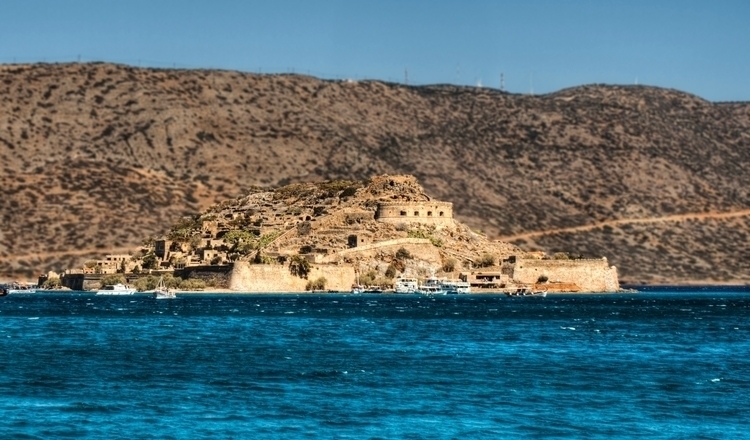 Approaching the island of Spinalonga in Crete. This tiny island was a leper colony from 1903 until 1957, but originally was a Venetian Fortress from 1578. The story of the lepers is very, very sad.